The Conference aimed at the dissemination of policy developments to relevant stakeholders and at identifying possible solutions to advance the European energy agenda. 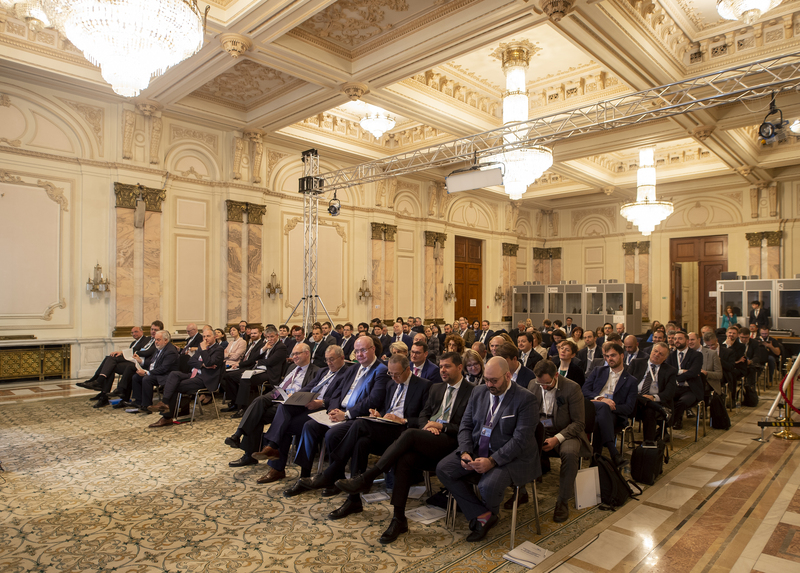 The Conference focused on key topics on the EU and Romanian Presidency agenda, such as the future European energy system, innovation and digitalisation of energy networks, decarbonising the energy sector and ensuring the transition to a low-carbon economy (including the use of hydrogen). Furthermore, a Declaration on Sustainable and Smart Gas Infrastructure for Europe was signed by representatives of the industry during the Conference. The Declaration states that the signatories aim to maximise the potential of the natural gas infrastructure to accommodate increasing shares of near-zero carbon hydrogen and renewable gases. The Conference brought together major European and Romanian decision-makers (including Miguel Arias Cañete, EU Commissioner for Climate and Energy, Anton Anton, Romanian Minister of Energy, and Dominique Ristori, Director General – DG ENERGY, European Commission), renowned European and national energy sector experts, key representatives of the business sector and industry associations from Romania and abroad, as well as representatives of academia and NGOs. The Conference was part of Aspen Institute Romania’s Energy and Sustainability Program, which represents a dedicated platform for open policy dialogue and a neutral forum focused on key energy topics and on ways of promoting environmental sustainability in a technological world. Representatives from industry will present and discuss their perspective in terms of necessary innovative solutions to address the decarbonisation of the energy grids and facilitate the integration of growing shares of renewable energy. They will particularly address the role of hydrogen in supporting sectoral integration as well as the issue of digitalisation. Existing barriers and possible ways to eliminate them will also be an important part of the discussion. The transition towards low-carbon energy systems in Europe will likely be supported by sectoral integration and digitalization. Policy and regulatory will need to be developed to ensure a smooth and effective energy transition. While sectoral integration will enable a better large-scale integration of renewables and a more comprehensive approach regarding system efficiency, digitalisation is a process expected to enable several desirable evolutions: the emergence of prosumers, improved energy efficiency, improved distribution services, integrating electric mobility and vehicles to grid, and others. Digitalisation is also an enabler of sector integration, where different end-use sectors (buildings, transport and industry) will become more closely interlinked. This panel will discuss which regulations and policies can better support these key trends in the development of future energy systems, in order to deliver on the clean energy transition.